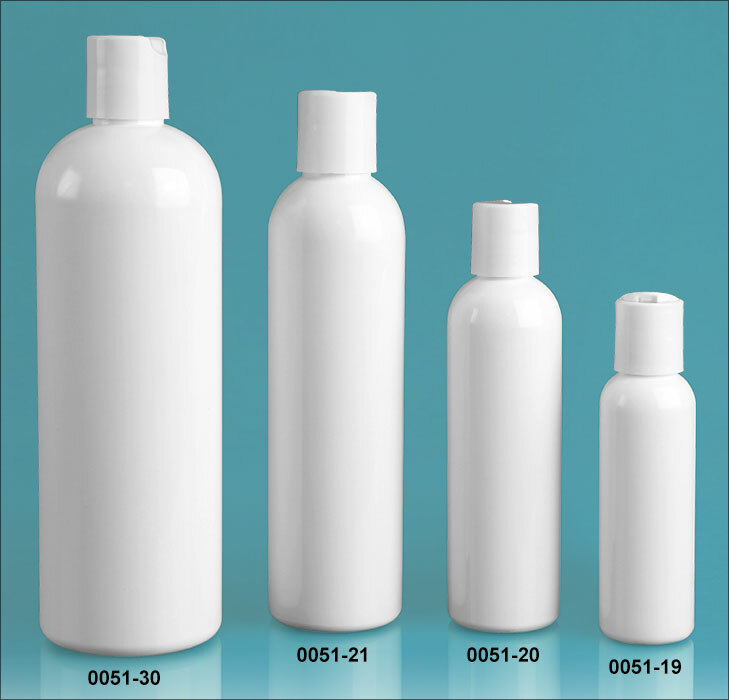 These white plastic cosmo round bottles are available in a range of sizes from 2 oz to 16 oz and come with matching white polypropylene disc top closures. Disc top caps allow for the convenient dispensing of a small amount of product when light pressure is applied to expose the closure's orifice. The 2 oz and 4 oz bottles have caps with .270 mm orifices, while the 8 oz and 16 oz bottles come with caps that have .310 mm orifices. These plastic bottles with disc top caps could be used to package a variety of bath and body products from lotions to hair care products.